Come and gain experience in the company that received a special prize on the best company for traineeship contest in 2016! 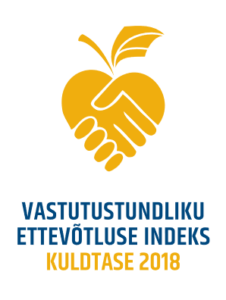 In 2016, AS Tallinna Vesi received a special prize on the “Best Company for Traineeship” contest, organized by the Estonian Employers’ Confederation. The prize was awarded to the company by the Estonian Human Resource Management Association for the outstanding commitment of the tutors and for creating a strong team spirit among the trainees. An open competition is organized for the traineeships, separately for the vocational school and highs school students. The traineeship in Tallinna Vesi usually lasts for 2-6 months. Every year, we welcome 7-10 students from the vocational schools and high schools in our company. The number of traineeships is limited, so that each trainee could feel like a valuable team member and so that we could pay enough personal attention to everyone. We offer to the trainees on-site training and highly-valued experience, and compensation for their contribution to the company. In addition, we organise exciting events for the trainees to keep their spirit high. To those outstanding among the trainees, we offer permanent position within the company later on, if a vacancy exists. We welcome the best trainees to pursue their career by joining our young specialist program. For the outstanding trainees we offer an opportunity to pursue their career in the company after their traineeship by joining our young specialist program. The program provides young students with a part-time position within the company and trains them for a specific profession in one of our departments. Besides that, the young specialists will receive a detailed training program, acquiring knowledge about the main processes and an overview of the whole company.